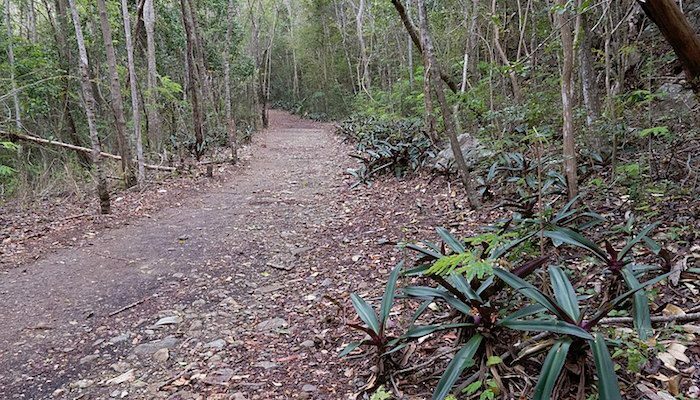 Trails in the USVI can be steep and rocky, but this 2.6 mile (4.2 km) route in Virgin Islands National Park from Cruz Bay up to Honeymoon Beach is one of the most runnable trails on St. John, with incredible views as a bonus. You can park at the National Park Service Headquarters just off of North Shore Road and follow the paved way out to the trailhead, which hugs the coast heading north past Lind Point and Solomon Beach before arriving at the pristine sands of Honeymoon Beach. The rock and gravel trail can be a little loose at times, so watch your step, but overall it’s a good flat surface with just enough hill work to work up a sweat.